I must admit, I didn’t approach my research with an open mind. I was sure that my pre-conceived notions were accurate, but it didn’t matter. In the end, the only conclusion I could come to was the same conclusion everyone comes to once they actually do the real research – vaccines are a crime against humanity. Vaccines are the primary reason our nation’s children are so sick. Vaccines are associated with autism, autoimmune diseases, asthma, allergies, chronic inflammation, all the diseases they are said to protect against, and more. Every single ingredient is toxic. Every single one! I failed miserably at protecting my children simply because I trusted our doctor more than my brother. My mind constantly goes back to “if only I knew then what I know now” about vaccines. The CDC must turn out a steady stream of outrageous lies about the need for vaccines. If they didn’t, they’d have no way to justify the billions of dollars they spend every year buying the vaccines from jews' drug companies. The link between autism and vaccination is the biggest tornado in the vaccine storm. Autism has soared from a rare disorder to something affecting a child in every other classroom: in the 80s, it struck one in 10,000 children, by the early 1990s, one in 2,500. Five years ago it was one in 88 children was diagnosed as autistic and today it is one in 68. Brain and nervous system damage from vaccines is nothing new. Crippling and potentially blinding Acute Disseminated Encephalomyelitis, for example, (which causes MRI-visible white spots on the brain and can progress to multiple sclerosis,) has been described in the medical literature for decades and is a documented side effect for virtually every vaccine. Narcolepsy and Guillain Barré Syndrome are other examples. Aluminium is another well-documented neurotoxin added to vaccines as an adjuvant to evoke an immune system response. Recent research has thrown everything scientists used to say about it (and the CDC still does) in the bin: aluminum is not excreted from the body within hours or days, but it persists for years and can migrate to organs including lymph, spleen and brain. Aluminum in vaccines has been implicated in Chronic Fatigue Syndrome, Macrophagic Myofasciitis in numerous autoimmune diseases, Alzheimer’s disease, in sudden deaths following vaccination and in autism... Vaccine ingredients are known to cause brain damage. Robert Kennedy Jr. has been highlighting the dangers of mercury as thimerosal used as a preservative in vaccines and its relationship to autism...Besides toxic metals like aluminum and mercury, vaccines may contain contaminants from DNA from human aborted fetus cells, animal DNA and retroviruses and a host of debris and metal contaminants that are not measured by oversight agencies and whose health effects have never been studied. 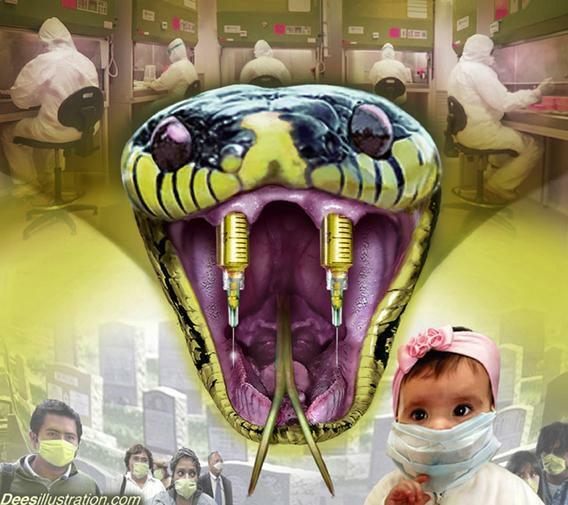 THE TRUTH YOU NEED TO KNOW ABOUT THESE CREATURES DEADLY VACCINES- BASED ON RESEARCH BY REAL DOCTORS! Dr. Moulden quit his medical career in 2007, giving up a $500,000/year salary after realizing vaccines “produced the most profound damage to humankind by humankind in the history of humanity.” He died, and was likely murdered, in 2013. Merck could now be liable for potentially billions of dollars in damages. If found guilty of this crime against humanity, lifetime imprisonment or a public beheading of the CEO of Merck, and all others involved in the fraud is advised. These studies show without doubt that unvaccinated children are healthier than their vaccinated peers and, for this reason, these studies should be given careful consideration by all parents and professionals studying vaccination safety. Also, not wanting your children dead is a good reason. The charts show that many of the babies who died passed away within the first few days of receiving the vaccine. A total of three infants were reported to have died within hours of receiving the vaccine. This tragedy is hardly surprising given the vaccine’s ingredients listed on the GSK Infanrix Hexa product information leaflet. RESEARCH VACCINES BEFORE YOU POISON YOUR CHILD OR YOURSELF!